One of the most influential figures in the forming of Independent Television, Sidney Bernstein managed, in a small amount of time, to stamp his indelible imprint not only on the station he created but also on television in Britain as a whole. His personality, dreams and visions helped to create a multi-million pound empire that thrives today as the major force in British entertainment, and it is one that has consistently delivered quality television since its inception in 1956. Although his name will be forever linked with the North of England Sidney Lewis Bernstein was, in fact, born in Ilford, Essex on 30th January 1899. Seven years later his father, Alexander, proclaimed the family's first interest in the entertainment industry by purchasing a variety theatre in Edmonton, North London. Like his great ATV rival, Lew Grade, Sidney's roots could be traced back to a small Russian village from where the family escaped the oppressions and pogroms of the Tsars. Unlike the Grade family, the Bernstein's didn't suffer financial hardships because Alexander, it seems, had a golden touch. Shortly after settling in Ilford, Alexander married a local girl, Jane Lazarus, and together they produced eight children. To support the family, Alexander had business interests which were as wide as they were diverse. His chosen profession was in the leather trade, but his diversifications included an interest in a slate quarry in Wales, and a habit of acquiring local properties at auction, not least of which was a run-down estate in Manor Park, just a short distance from his own Ilford home. For this, Alexander had paid a mere £270.00 - a gamble, as he hadn't even had the opportunity to view the properties before purchasing them, but one that was quite fortuitous as the site consisted of around 600 houses. While some property investors may have been content to add a lick of paint here and a bit of wallpaper there and sit back and capitalise on their investment, Alexander had grander plans. The buildings, which already benefited from sturdy foundations were renovated and modernised. Gas was installed, so were Venetian blinds and security was reinforced by giving a number of free houses to local police and firemen. The streets, which today still bear the names that Alexander gave them such as Selborne and Alvestone, were given an air of respectability by being named after leading judges of the day, and were brightened up with residents being encouraged to keep up with their rent payments by the promise of a free sack of coal at Christmas to those that didn't fall behind. It was this flair for social planning that bought Alexander into the entertainment industry. When a similar deal was done with a plot of land in Edmonton he wanted to create a parade of shops and a theatre to attract traders and customers alike. Knowing nothing about running theatres he employed an impresario to do the work for him, but their views were so wide apart that Alexander stormed out of one particularly heated meeting and vowed to take on the responsibility himself. Instead, he exacted his revenge by employing the man's assistant, one Harry Bawn. The theatre they built on the site opposite the Great Eastern Railway's Lower Edmonton station was Bawn's for the running at a cost of £900 a year rent. The Edmonton Empire was opened on Boxing Day 1908 with a special invitation to every child in the area. A circus act featuring a troupe of performing elephants was ordered for the grand opening ceremony and packets of sweets were handed out to each child as they entered the theatre for the first time. Among those employed to hand out the treats was Alexander's nine-year old son, Sidney. He had been given his first taste of showbiz. 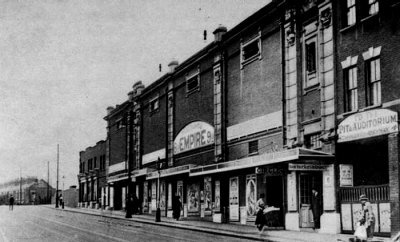 When he died in 1922, Alexander bequeathed to his son no fewer than eight Bernstein theatres: The Edmonton Empire; The Electrodome, Bow; The Lyric Cinema, Guernsey; and the Empire group of 'Kinemas' at Ilford, Plumstead, East Ham, West Ham and Willesden. It seemed as though Sidney Bernstein's future was clearly mapped out. Sidney Bernstein had not, as it may appear, been given a 'silver spoon' upbringing. After leaving Highlands School, Ilford, he was sent out to learn business elsewhere, and not within his father's growing empire. It was only with the death of Alexander's eldest son, Selim on the battlefields of Gallipoli in 1915 that Sidney inherited the responsibility of being the next in line to take up the family business. When he finally took over it was to the Edmonton Empire that he returned. Passing by the Empire one day Sidney noticed that the building had become dilapidated and run down. He immediately arranged to buy back the lease from Harry Bawn's widow and set about renovating it. Sidney contacted Maurice King, the son of his father's former business associate and proposed that they run the Empire as a joint venture. Between 1922 and 1927 they succeeded in turning the Empire's fortunes around. The leading lights in music-hall were bought in to entertain and these included Will Hay, Harry Champion, Little Tich and an up-and-coming Lancashire lass called Gracie Fields. The most famous of all music-hall stars, Marie-Lloyd gave her last performance there. Later, in 1933, the Empire was to prove yet another cornerstone in the Bernstein dynasty when it was converted into a cinema. By now all the Bernstein brothers had entered into the family business in one capacity or another. But it was Sidney who directed the family's ever expanding fortunes. He travelled regularly to America where he kept up with the latest developments in the entertainment industry and bought back to the UK the lessons he learned. On visiting the New York's famous Roxy, with its elaborate decoration and pampering to the customers comforts, he was compelled to comment; "Never have I seen such rubbish presented in such ornate surroundings." And he promptly set about turning the Bernstein cinema chain into picture palaces that were fit to carry the 'palace' tag. He introduced the first cut-price children's matinees to this country and was the first to carry out market research on the film industry to gauge the tastes of his paying public. By the time WWII broke out Sidney Bernstein was already a respected power within the entertainment industry. His influence was employed on propaganda films as adviser to the Ministry of Information, chief of Film Selection at Allied Forces Headquarters in North Africa and chief of Film Selection at Supreme Headquarters, Allied Expeditionary Force. It was Sidney's job to boost the morale of the fighting forces both at home and abroad. After the war, when the argument for Commercial Television was being talked about in earnest, Sidney Bernstein could boast 56 cinemas up and down the country. He had more to lose than most should the Television Bill be passed and when he was asked his opinion as part of the Government enquiry set up under the leadership of Lord Beveridge into the viability of such a venture, Sidney presented himself as a staunch socialist firmly on the side of maintaining the BBC's monopoly. "The right of access to domestic sound and television receivers of millions of people carries with it such great propaganda power that it cannot be entrusted to any persons or bodies other than a public corporation or a number of public corporations", he told Beveridge. Nevertheless, when Commercial Television was green lighted, Bernstein was quick to overcome his reservations and applied for one of the franchises on offer. Leaving their Soho offices the delegation went to their meeting at the ITA headquarters in London's Golden Square to put forward their proposals. Sidney led them and was accompanied by his brother, Cecil, Victor Peers-an associate in their film operations, and Joseph Warton, Granada's company secretary. But it wasn't the London franchise that Granada went after as Sidney was convinced that this would go to the company headed by former BBC chief of programmes Norman Collins. And Sidney was not content with just the weekends in London. So he set his sights further afield and settled on the North of England. Granada's evidence to the Pilkington Committee of Enquiry into Broadcasting in 1961, justified their decision to submit for the Northern franchise thus: "The North and London were the two biggest regions. Granada preferred the North because of its tradition of home-grown culture, and because it offered a chance to start a new creative industry away from the metropolitan atmosphere of London". Bernstein himself put it another way: "...the North is a closely knit, indigenous, industrial society; a homogeneous cultural group with a good record for music, theatre, literature and newspapers, not found elsewhere in this island, except perhaps in Scotland. Compare this with London and its suburbs--full of displaced persons." And with a wry smile he added: "And, of course, if you look at a map of the concentration of population in the North and a rainfall map, you will see that the North is an ideal place for television". It was a shrewd move. Granada was among the first three bidders to be offered a contract. The next thing Granada needed to do was find a base and Sidney, with a group of his executives set off on a tour of the North. "We eventually settled on Manchester", recalled Victor Peers. "I say eventually, but I always felt Manchester was the chosen place even before we started the tour." 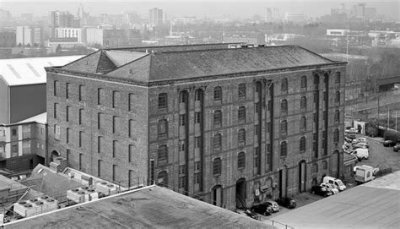 A suitable site was found in Leeds but quickly dismissed and two other places in Manchester, a shopping arcade near Victoria station and a large factory close by the racecourse proved to be too expensive. Whilst travelling back from a site visit Sidney noticed another site in Water Street surrounding an old Manchester Ship Canal Basin: There was a sold sign outside. Sidney went in and within seconds told Victor, "This is our site." "But it's already sold," said Victor. "Find out who's bought it," said Sidney. Victor found out who bought it. It was reserved for the City Council. Sidney immediately opened negotiations with them and eventually the four-acre property was purchased for £82,000. Then early in 1955 Granada faced its first crisis-even though it wasn't of their own creation. The newly appointed Independent Television Authority had been assured by the Postmaster General that ITV would be given transmitters on masts already being used by the BBC. However, the BBC had other ideas. They claimed that the plan was both impracticable and unsafe. It was, of course, completely untrue. However, the BBC had one distinct advantage over the ITA and that was the new company's total ignorance of technical matters. The Authority panicked. The ITV signal had to be switched on before the General Election or, should Labour-who were opposed to Commercial Television, regain power-there may be no signal at all. Granada were informed that since their region could no longer be served by the single BBC transmitter at Holme Moss there would now have to be two transmitters; one for Lancashire on Winter Hill and another for Yorkshire at Emley Moor. And although the Lancashire mast could be up by opening night, Thursday 3 May 1956, the Yorkshire transmitter could not be ready until several months later. So Granada would only be able to transmit to half the area it had been granted the franchise for. When the ITA refused to uphold Granada's objections Sidney called in his lawyers and threatened to sue them. In the end no action was taken even though the Emley Moor transmitter didn't become operational until 3rd November, 1956. Granada commenced broadcasting from Manchester in May 1956, proudly proclaiming its origins with the slogan "From the North" and labelling its new constituency "Granadaland". The first night's programming opened with a somewhat bizarre announcement by which Sidney hoped to mollify his Labour Party critics who accused ITV of encouraging people to spend money they did not have. "For most of you Independent Television has been a new experience," they were told in friendly conspiratorial tones. "We have brought advertisements to your television screens at home. We think you will like them, not only because they are entertaining but because they are informative. Products and services whose names you will be seeing are a guide to sensible buying and help you get value for money. Television advertisers have faith and pride in what they offer. Granada stands behind them and their statements. We hope their names will become as familiar to you as the names of your friends and neighbours." The patronising little homily continued: "You can use Granada advertisements as a trustworthy guide to wise sending. Wise spending eventually saves money. And savings can help with one aspect of our country's economic problems. So, before we shop, let us say to ourselves "is it essential?" If it is, let us buy the best we can afford. If it is not essential, can we save? Save not only for a rainy day but also to make sure that tomorrow and the day after will be sunny." For the moral well-being of the country advertisers paid Granada £14,215 on that first night. The first programme on Granada's opening night was Meet The People, a grand parade of all those who had helped Granada to set up shop in Manchester. The Master of Ceremonies was Quentin Reynolds, an American anchorman with experience of live television and a personal friend of Sidney Bernstein. Apparently, Reynolds repaid Sidney's faith in him by getting blind drunk hours before transmission and had to be sobered up with a cold shower and copious amounts of black coffee. Then came a Val Parnell variety show from London, another tribute, this time to Lancashire, and some boxing from Liverpool. The evening finished with Granada paying homage to the BBC, whose public broadcasting pedigree Sidney had always admired. It was also designed to go down well with the press. Which it did. By January 1957, Granada was responsible for all the top ten rated programmes receivable in its region and the company soon came to be regarded as one of the most progressive of the independent television contractors. The Granada Group's profits during its first year were £218,204. By 1980 that figure had grown to over £43 million. 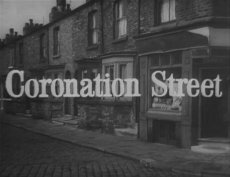 Coronation Street the world's most popular soap opera, and high-profile current affairs and documentary in programmes like World in Action and What The Papers Say gave it early prestige and aligned it unmistakably with the ideals of its founder and exemplified its reputation for quality programming in the early 1960s. 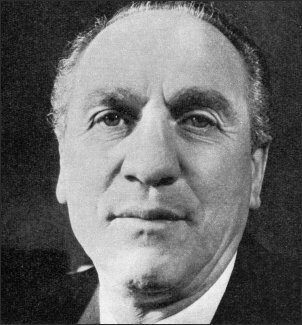 Sidney Bernstein became chairman of the Royal Exchange Theatre in Manchester between 1983 and 1993 and was created a Fellow of the British Film Institute in 1984. In 1969 he was created Baron Bernstein of Leigh. In the 1970s, Lord Bernstein finally relinquished leadership of Granada Television and moved over to the business side of the Granada Group, retiring in 1979, after a long career. He died in 1993, aged ninety-four. Until March 2004, Granada Television was one of two giant companies in the UK ITV Network, alongside Carlton Television. Since that date, and the merger of Granada and Carlton (effectively a take-over of Carlton by Granada) it has become the major force behind the new ITV plc. Sidney Bernstein's empire keeps growing. Biography: Laurence Marcus, 24 October 2005. 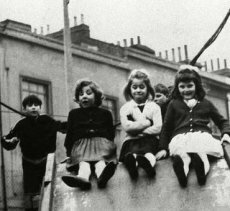 Seven Up a programme in the World In Action series, which looked at life through the eyes of seven-year-olds, won a Special Diploma of Honour at the International Festival of TV in Prague in July 1965. The children have returned to our screens periodically and we have caught up with their stories. The most recent edition Fifty Six Up appeared in 2012. The Edmonton Empire was situated on the east side of New Road towards the south end and many people knew New Road as "Empire Hill". 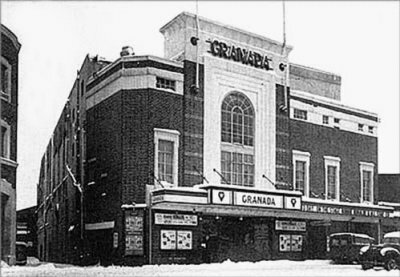 In 1951 it became the Granada but closed in 1968 and was demolished in 1970. The Wurlitzer 3/10 organ is now in St Albans Organ Museum.